Join us for a talk, book signing, meditation, and Q&A with Ora Nadrich. Tea & snacks will be provided. Live True will be available in hardcover and paperback versions. Live True vividly illustrates and breaks down the philosophy of Mindfulness, and what it means to live in the present moment; authentically. "Mindfulness and authenticity are inexorably linked. It keeps us honest," writes Ora Nadrich in her timely, and much needed book on raising awareness and consciousness of who we are, and more importantly; who we are not. Each of the thirty brisk, informative chapters, not only showcase Ora's effective techniques for living in the present moment with authenticity, but also, in her knowledgeable, and warm narrative style, guides us through various aspects of effective Mindful behavior, while pinpointing the challenges that impede us from connecting to ourselves authentically, and the dangers of not living in total awareness. Each chapter then culminates with a unique, useful meditation for readers to practice: thirty meditations for each of the thirty days in a month to help us discover, awaken and connect ourselves - in a mindful way - to all those qualities and core values that make us unique only to ourselves. In this thoughtful and straightforward book, Ora shares with us the principles of effective Mindfulness, and combines them with specific meditations that are simple, direct and applicable to everyone, and helps connect us to our true nature. Authenticity is her mantra. Live True provides practical, tangible information and meditations to help us connect with our authentic selves, and keep us connected. Ora, who adheres to the Buddhist principle, "What we believe, we become," has helped awaken hundreds with her Mindfulness Meditation techniques to overcome the obstacles that hold us back, and keep us from achieving the many benefits of being mindful. Fake news and "alternative facts" permeate our modern culture, causing ever more confusion to what is real and true. Authenticity is more important than ever as a prescription for peace, happiness and fulfillment. Live True fills that prescription. 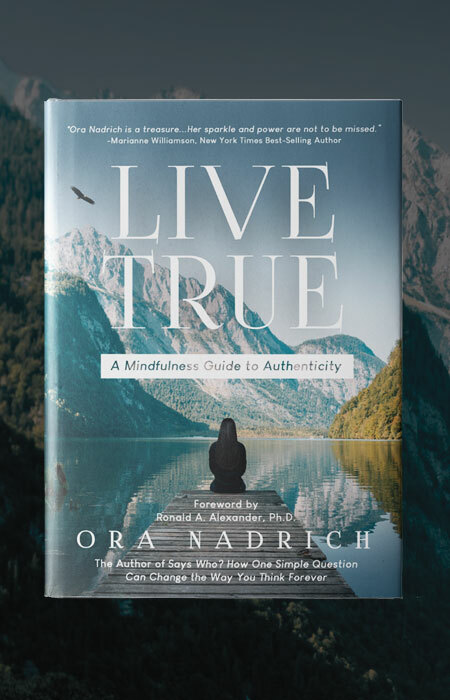 Written in a down-to-earth, supportive voice, Ora's Live True offers the modern approach to Buddhist teachings of awareness and compassion; making them instantly accessible and adaptable to everyday life and everyday people. The book is expertly divided into four sections - Time, Understanding, Living, and ultimately, Realization -- to take the reader through the necessary stages of understanding how to connect to our authentic selves and experience the joy and peace - the ever-present wholeness - that comes from living Mindfully. "Everyone needs a daily discipline," Ora advises, "to attain clarity and focus, to make it easier to envision and attain goals. This book will help guide you through the mindful practice of meditation and connecting to your inner awareness, in order to live more truthfully and authentically, which will help you stay on track and take control of your destiny." "Ora Nadrich is one of my favorite wise women. Her teaching, her understanding, her love have all touched my life profoundly. The world is a better place because she casts her light upon it." "Living from our authentic core, we are able to create a more fulfilling and successful life for ourselves. Ora's unique strategy of intentional authenticity liberates the reader from mental and emotional baggage. Live True draws us into the current of our highest potential, greatest healing, and deepest love." "Ora Nadrich is a skillful, compassionate Mindfulness teacher and a beautiful human being. I am blessed to have her as a friend." "This lovely book is a treasure trove of spiritual delights, offering words of wisdom and simple truths to help drop us down to a more present and balanced perspective. Keep it by your bedside and read it each day before getting out of bed. Or place it on your desk to offer respite in the midst of your daily routines. Gifted teacher, Ora Nadrich has provided practices to help us live with a greater sense of sweetness, goodness and love." "With elegant simplicity, Live True beckons us to explore new depths within ourselves. Ora Nadrich helps us redefine what it means to live mindfully in a way that is authentic, honest, and real. These pages are filled with beauty and wisdom." "Ora's message of authenticity will resonate with readers on many levels. She is a master at weaving through the clutter of our modern minds and helping us find our healing. Her work is a wonderful gift to us all." "Ora speaks to the most relevant psychological and spiritual themes of today, and brings a new facet to the modern application of timeless truth. 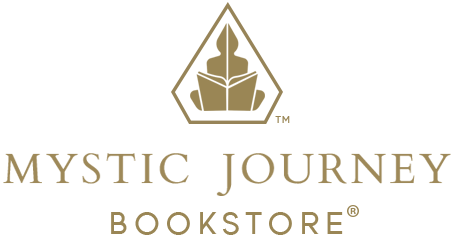 Her book Live True is a personal spirit guide for a self-led journey, an active exploration of the meaning of one's life." "Ora Nadrich's compelling invitation to drop into the 'Eternal Now' could not be more timely or more necessary. Live True should be required reading for all human beings." "Live True is a relevant and important book to read in today's times. Ora, once again, has done a marvelous job in empowering the human spirit through her inspiring writing and helpful meditation guidance. Being authentic is the highest form of courage, and this book is a timely reminder of it. I highly recommend it!"